When it comes to marketing, you strive to meet every customer’s wants and needs. As favorable as that would be, it’s not realistic. Enter Persona Marketing: a method of creating comprehensive profiles that describe key segments of your consumer base. By grouping customers into certain “types,” you as a marketer can better understand and relate to your customers. You reveal not only who your customers are but how they act and make decisions. 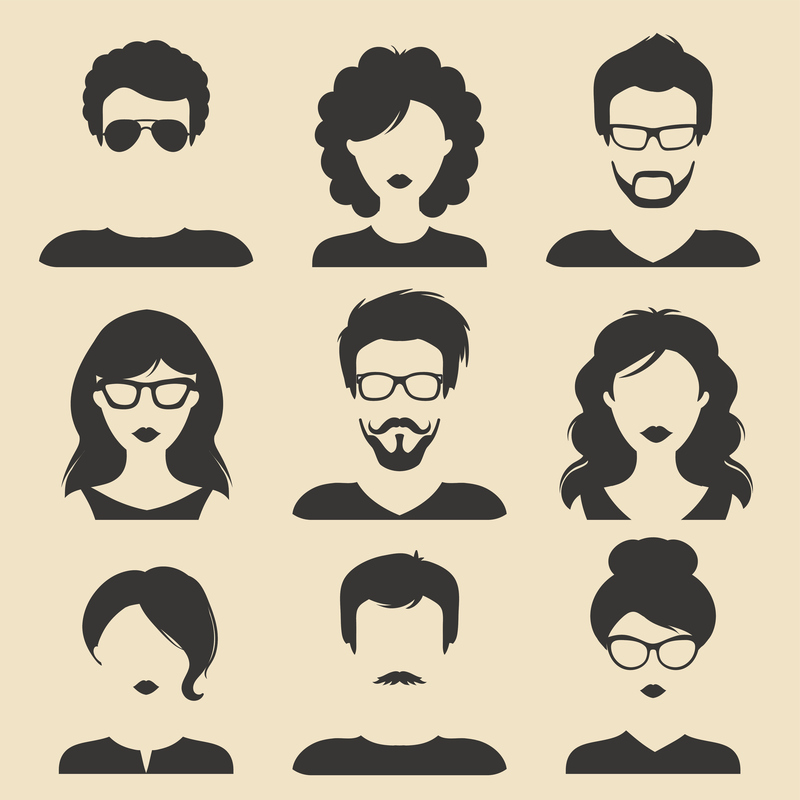 Using a few personas to describe your entire audience, you have enough information to connect with most customers while still maintaining a personal connection (Lee 2018). Persona Marketing helps you better understand your customers’ wants and needs to create the most relevant and effective message. Lauren Sorenson describes it as shopping for a gift for your friend or spouse. “You can easily visualize them in your head as you shop. You can imagine their needs and wants, the things they’d love, the things they’d be interested in, and all the things they hate.” With a persona profile in mind, you begin to understand the customer’s likes, interests, and purchase rationale as if they were a friend. With this information, you have insight into the type of message that will capture their attention. If you profile successfully, you can start to understand how to communicate the message effectively. This means sending your message in the right place at the right time to the right people. If you know that a certain persona spends the majority of its online time on Facebook, you know to use this platform to deliver messages to this segment. 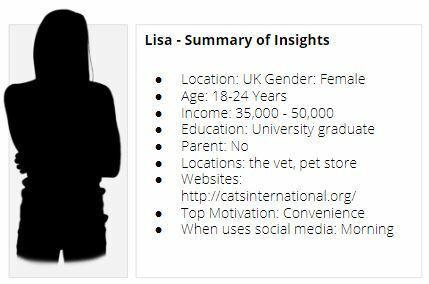 Knowing the interests and routines of the persona will help deliver and promote at time which users are likely to be online. Having the right communication strategy saves time and money. It helps save time by promoting content to the optimal audience on the most effective platforms. This way you won’t waste money promoting on a platform that your customers don’t use. You can also eliminate the futility of trying to connect with customers that rarely or never make a purchase. Instead, you can point your team’s marketing efforts in the right direction by knowing who and what to research (Kuenn 2015). Defining your personas helps build the right communication channel and optimize your efforts. This goes hand in hand with your communications strategy. When you understand who your customers are and how to communicate with them, you can prioritize which personas are most important to your business and to achieving your goals. For example, choosing your top 3-4 personas based on their average spending on a given product could help improve your conversion rate. Then, you can tailor your marketing campaigns to attract the most important audience (Winsaur 2017). With so many brands out there to choose from, you need to make sure yours makes a lasting impact with the customer. Moreover, consumers expect brands to communicate with them in a personalized way. The better you tailor your message, the stronger your impact will be. To do this you must understand your customers’ wants, needs and interests. An efficient way to do this is by creating personas for each segment of your audience, prioritizing according to your strategy, and identifying the relevant communication channels. Persona marketing allows you to know and understand your target audience and thus build a connection and relationship. By focusing on the right audience segment, you help yourself save time, money, and effort and create a lasting impact on your customers. Sometimes understanding the volume and variety of your personas can be overwhelming. However, once your campaigns are up and running, you have the ability to learn from your consumers’ engagement, and continually improve. If you want to know how this process can be automated, feel free to contact us.